W. Palmer St. from Humboldt Blvd. W. to Kedzie Blvd. Palmer Square is the 400 feet wide green space link between Humboldt Boulevard and Kedzie Boulevard as part of the Logan Square Boulevard National Historic District. This green space is surrounded by large scale homes built around the turn of the century. 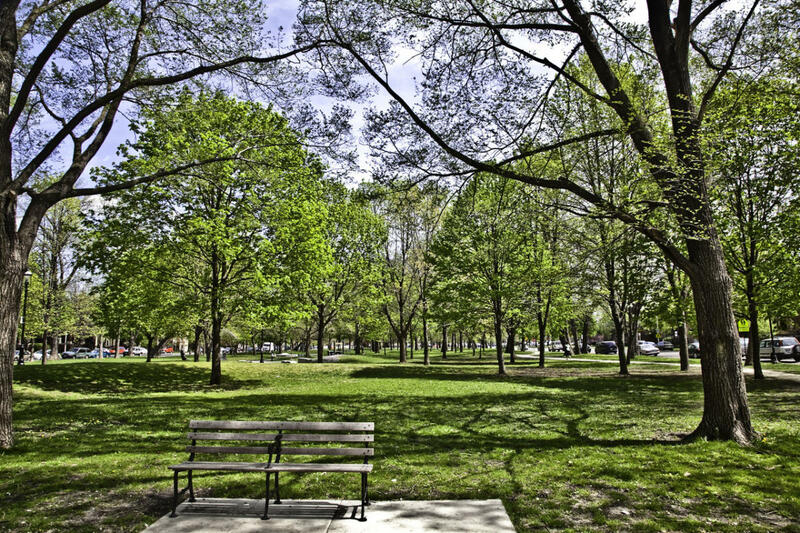 Once a popular raceway for nineteenth century carriage drivers and cyclists, this green space is a quiet get away in the Logan Square neighborhood.